What do You want to say to me from Your Word this morning, Lord? Listen. Sit quietly. Slow down your restless pace. Relax in me. Do you not hear the birds as they call out their early morning hails? Be like them, my child. Just rest in Me. I love you, my child. My plan for you is already worked out. It has been worked out from before the foundation of the world. Can I not do the same for you? My birds dwell among the branches of the tall trees. 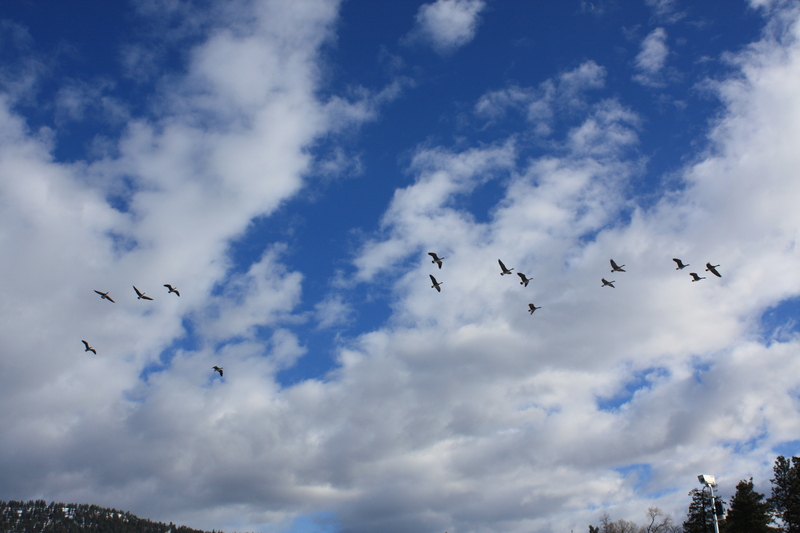 They wing their way through the open skies. They behold the far distances. And I am with them. I give them strength, and balance, and life, and rest. My own dear child, for whom I have already given My life? Come up hither, spread your wings, fear not. In the early hours of dawn. And a place prepared for you. I am with you. Relax. It’s my work. Thank You, Father. Here I am. Take me.